With the release of Mythic Heroes and Mythic Equipment, all of Sapphire has been on a Mythic frenzy. Among these powerful items, Mythic Relics, which improve heroes’ stats by leaps and bounds, are always sought after by warriors. Once a Mythic Relic is equipped, players will activate the affinity with their Mythic Heroes and gain a huge boost in attributes. Is there any way to make them even more stronger? The answer is yes! 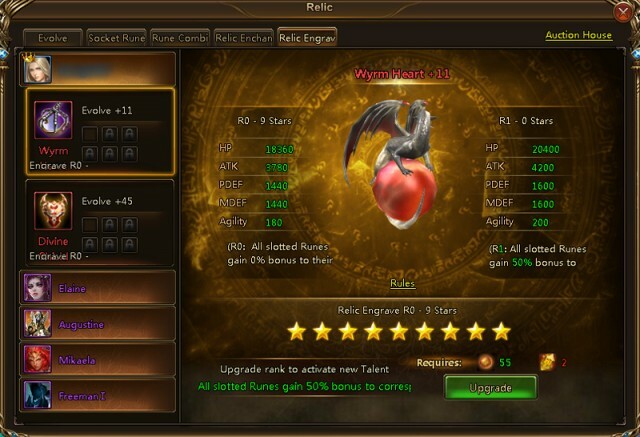 Read more about the brand new Relic Engrave system that will be live this week! The new Relic Engrave system allows players to upgrade Legendary and above Relics, increasing their attributes (HP, ATK, DEF, AGI) for each Star. Also increases attributes bonuses from slotted Runes for every rank. 1.Click Relic icon and select “Relic Engrave” tab. 2.Only Legendary or above Relics can be Engraved. Click "Engrave" or "Max Engrave" to use Engraving Stones to upgrade a Relic, each Star will increase ATK, DEF, HP, and AGI by a specific amount. 4. Mythic Relics can be engraved up to R6 - 0 Stars, Legendary Relics can be engraved up to R4 - 0 Stars. 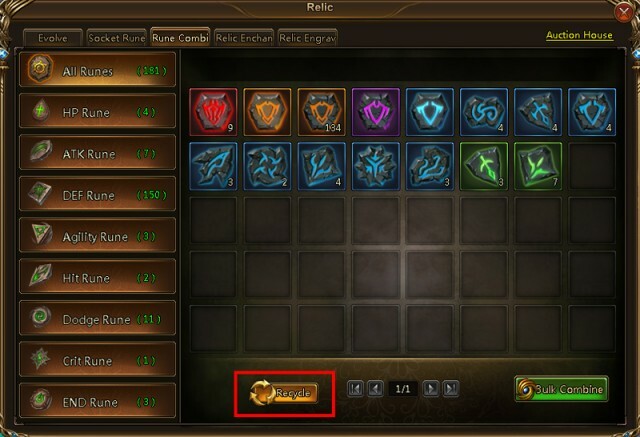 · Recycle Runes: Click Relic icon and select Rune Combine tab, the Recycle button is on the lower left corner. Only Runes higher than level 4 can be recycled. *Note: Resourcse used in Engraving will be returned when the Relic is Recycled or Reborn. Warriors looking to get an edge over their competition have just found the way! Log in to LoA2 now and master the Relic Engrave system; achieve the next level in Battle Power!